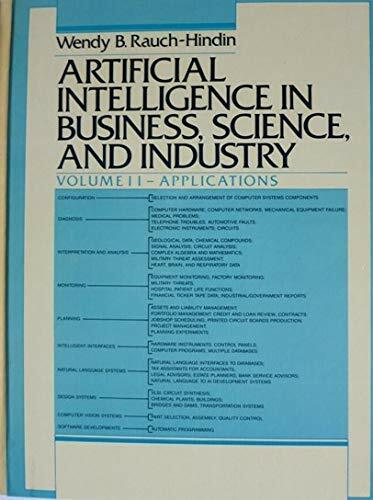 Artificial Intelligence in Business, Science, and Industry volume 2 - Applications. Wendy B. Rauch-Hindin. Copyright 1985, Prentice-Hall, Englewood Cliffs. Hardcover in good condition. slightly cracked. NO dust jacket. Shelved in Technology. The Bookman serving Colorado Springs since 1990. 10. Artificial Intelligence in Business, Science and Industry: Applications v. 2.